We have started our reading curriculum this week. 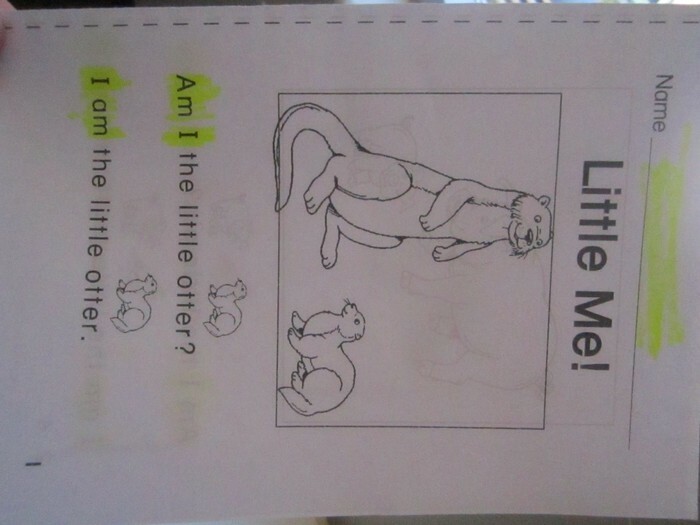 You should have seen our first little reading/phonics book come home on Tuesday. We spent some time highlighting some of the easy words in it. Please, please, please - do not recycle these right away. Have your child read it to you (it will never come home without us reading it together in class first). If your child has difficulty reading it to you, read it to him/her. I strongly suggest you hang on to these books throughout the school year to keep reading and rereading them. It is a wonderful way to help develop reading skills! Thank you to everyone who is emptying and then returning the word bird envelopes. Please practice these words with your child as time allows! Thank you! 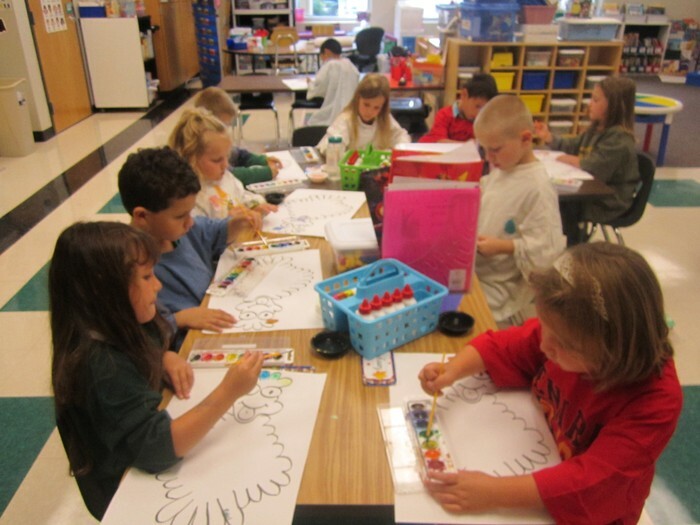 We have been working through the beginning handwriting strokes these past couple of weeks. Once we are through learning the basic strokes, we'll start working our way through the lower case letters. Watch for handwriting practice sheets to come home on a regular basis. We started our kindergarten math curriculum this week. You will see math sheets coming home on a fairly consistent basis. At the end of each unit, we'll be taking a short test to see how much they have learned. Watch for these items to come home in your child's take home folder. We have finished our mini unit on colors by celebrating Roy G. Biv day! Roy G. Biv stands for the colors of the rainbow (Red, Orange, Yellow, Green, Blue, Indigo, Violet). We made a crazy looking Roy G. Biv (check them out in our hallway) and made rainbow cereal necklaces for snack. Yum! 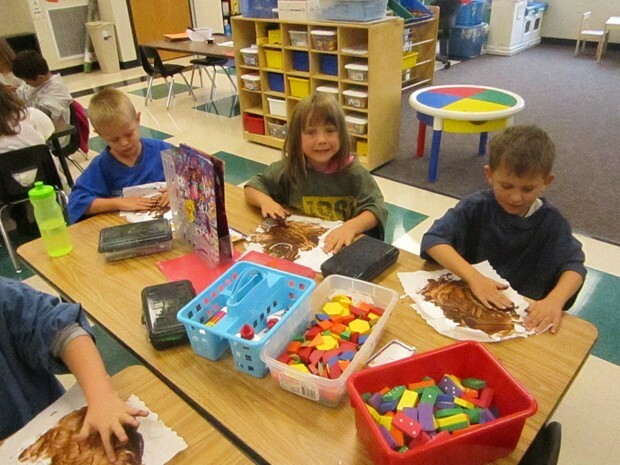 Finger Painting with chocolate pudding for brown day. A fun (and messy) activity! On Tuesday, our students had their vision and hearing tested. If your child had difficulty with any of the tests, Mrs. Decker, our school Health para will send home information to you at a later date. You would not believe all the testing that a kindergarten student has to do! Ugh! They have taken the Boehm test last week, which tests for understanding of basic concepts (information on this will be shared at conferences). On Wednesday, they took our beginning of the year math test. We have also started to test for report cards. The kiddos have been troupers...let the fun continue! We finished our little unit on Bus Safety this week. Please go over the bus rules with your child. Even if your child does not ride a bus to and/or from school, we will be riding a school bus for field trips. 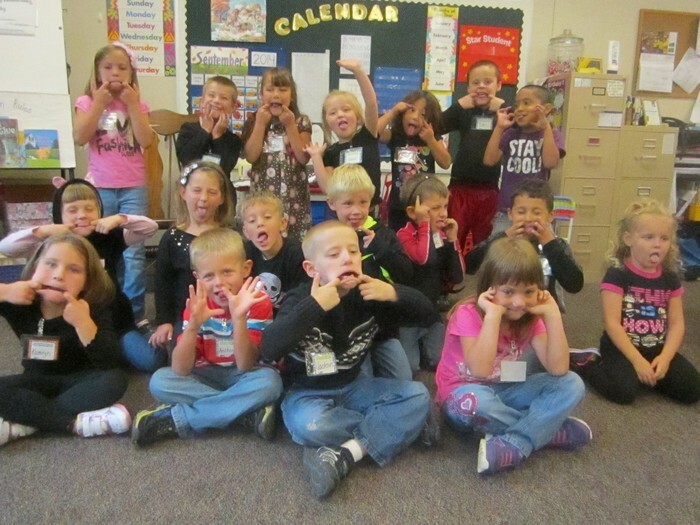 Look at these crazy kids on Black Day! 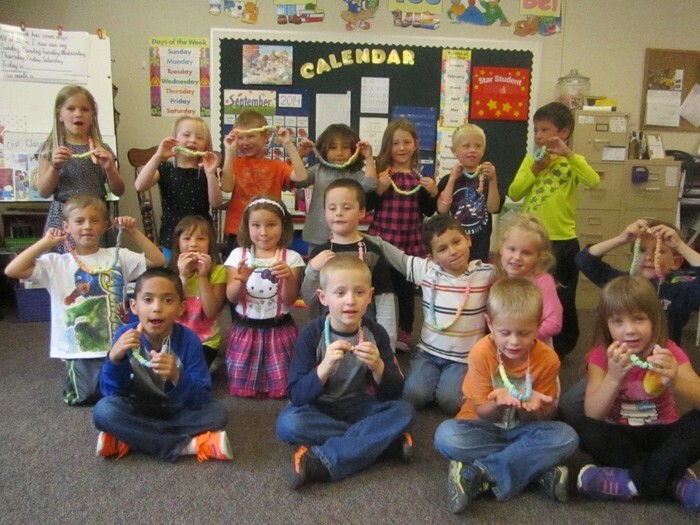 Getting ready to eat our rainbow necklaces!